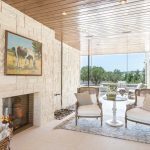 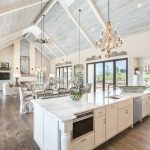 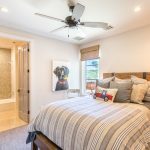 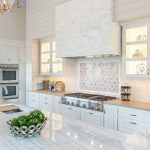 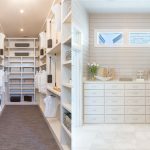 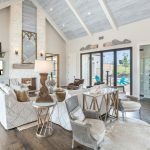 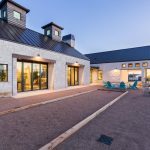 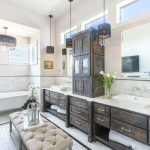 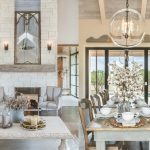 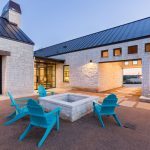 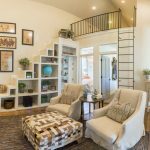 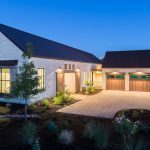 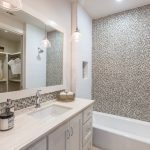 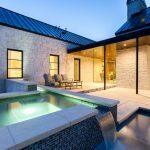 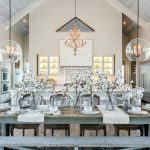 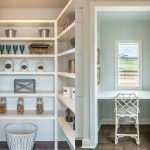 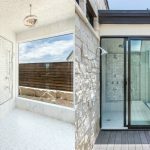 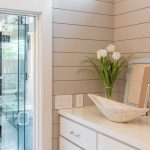 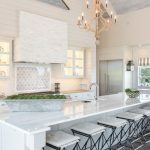 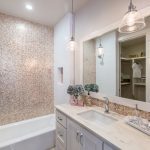 The Vineyard Farmhouse custom home plan, which won the People’s Choice Award as well “Best Family Room” and “Most Innovative Design”, made its debut at the recent Spring Parade of Homes. 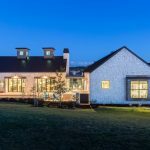 When the Jenkins Design Team decided on an expansive one-story home, they wanted to capitalize on the lot’s best feature–its privacy and large size (1.2 acres). 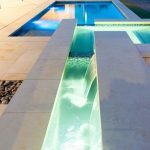 The four simple platonic masses of the architecture, brought together in the center by an all-glass “link”, created a private courtyard in front and private pool/spa area in back. 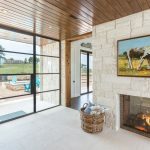 The design team wanted the architecture to be experienced, blurring the lines between indoors and out. 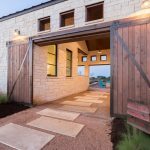 The breezeway starts that journey, giving way to the well-appointed courtyard. 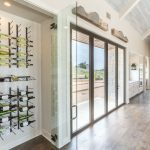 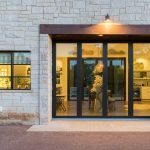 Large stackable glass doors and automated screens in the main Kitchen/Dining/Living space capture the year-round cross breezes. 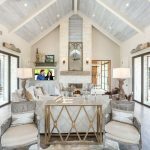 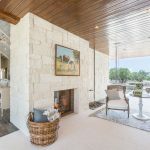 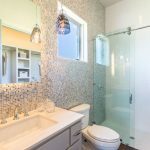 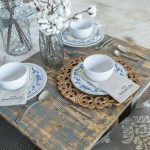 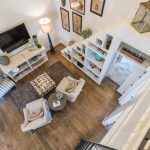 Although the home has its rustic charm, it is decked out in modern appeal with its clean lines and high-tech conveniences. 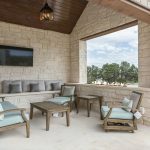 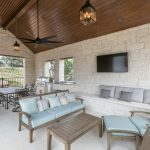 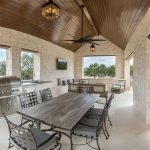 An outdoor pavilion connects the front yard to the back, providing a great place to grill and watch the game. 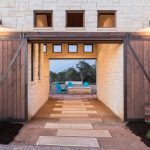 The front courtyard is large enough to host neighborhood parties, with its built-in seating on massive limestone blocks. 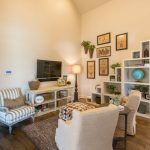 The 4-bedroom, 4.5 bathroom home features a 3-car garage and large loft.